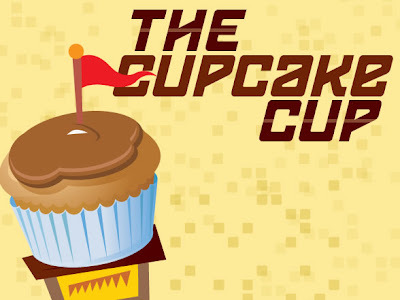 The bloggers over at Food2, Food Network's edgy food blog, have announced their first annual Cupcake Cup, a photo challenge involving, you guessed it - cupcakes. 1) Submit your cupcake photos. 2) The photos MUST be yours but the cupcakes need not be. 3) Submissions are now open. You can enter the competition here. The prize is a giant cupcake baking set, and by giant, I mean a cupcake mold that will yield one gigantic cupcake. As far as the cupcakes not needing to be yours in order for you to submit a photo of them, this blogger thinks you should at least KNOW the baker. I mean c'mon - making a gorgeous cupcakes is at least half the battle.